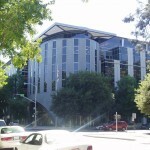 The Capitol East End project in Sacramento was the first in a series of planned redevelopments by the state of California. The building was awarded as a design build, with the architect working under the contractor, which is very unusual as the owner primarily retains the architect. The final design was to include specific requirements from the owner and unlike most projects, the design was concluded in a collaborative effort with the architect, contractor and Columbia Stone. The key challenge for the design team was the goal presented by the state to achieve a very high LEED™ rating. All elements of the building from methods to materials can earn points for the LEED™ certification. These efforts were rewarded with the certification of LEED™ Gold, and at the time of certification the building was the largest 2.0 Gold building in the world. 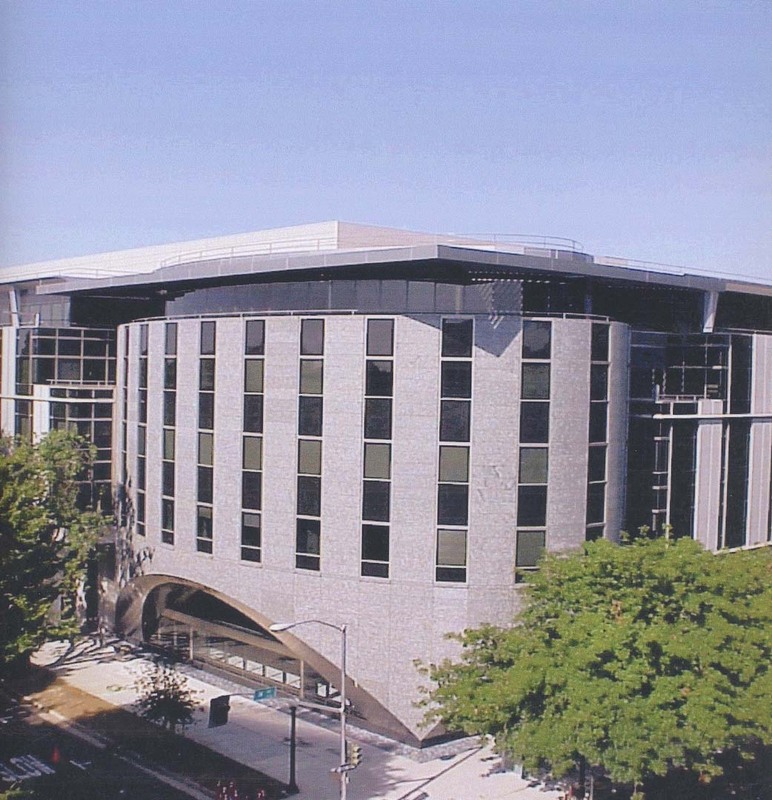 The building consists of 330,000 square feet of office space and 150,000 square feet of underground garage space and is home to the California Department of Education. The building holds many firsts for the state including:1. 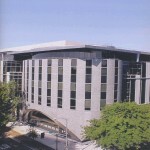 First LEED™ certified government building in the state.2. First of five office buildings that make up the largest state office project in California’s history.3. First state building to have under floor air distribution.4. First building to use integrated photovoltaic panels.5. First design build office building project in the state’s history.6. 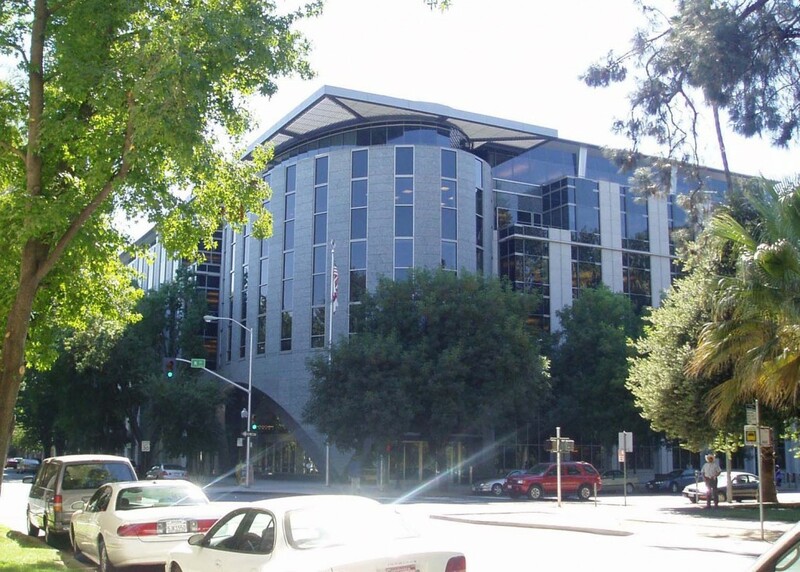 First state building to exceed the California Energy Code Title 24 by more than 40 percent. The final design for the exterior stone included a very complicated and challenging elliptical shape at the main entry that would require 5,800 square feet of radius cut granite. 3-D CAD modeling was used to clarify the shape and the framing requirements from the structural steel to the metal stud frames that would support the stone. Due to the longevity of natural stone and the ability to fabricate the stone to the required radius of the elliptical entry, the decision was made to use stone in lieu of other building materials. All of the exterior stonework, and the other work required to finish the exterior of the building would take place under the watchful eye of a state arborist. Streets bordered the project site with planters that contained 80 year old trees that were to be retained as part of the redevelopment. With the branches of the trees being merely feet from the face of the new building this was a very challenging aspect of the project. This entry was posted in Design Build on August 21, 2014 .